Significant Time Spent Outdoors – Apart from the fact that they are more likely to engage in healthy forms of play that will stimulate exercise, unstructured play time spent outdoors is beneficial for their creativity and development. Exercise and Physical Activity – Outside of school, camp provides precisely the kind of opportunities for kids to collaborate with their peers and participate in the type of physical activity and play that aid healthy growth. Get Kids Unplugged – Camp encourages kids to interact with each other outside of the realm of online social media, drawing them away from their computer screens and allowing them to spend time with their peers technology-free. Healthy Risk Taking – Healthy forms of risk taking practiced at camp encourage kids to step out of their comfort zone and heightens their confidence as they learn to succeed on their own. 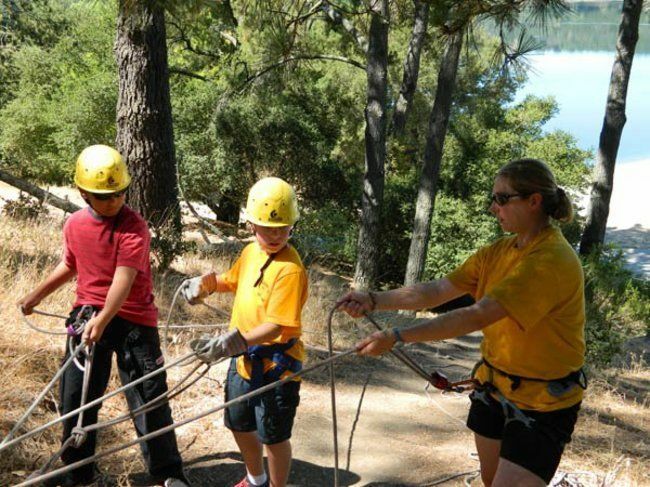 Developing Resiliency – Camp provides activities that are often completely new for most children. Trying new things requires commitment and resilience at camp, and kids learn to solve problems and work towards finding a solution to situations they may find more challenging. Learning to Work as Part of a Team – By participating in camp activities together, kids learn to work with their group in program areas. They learn to collectively make decisions that will affect the whole group, and build a sense of community with their peers. Independence – Learning new skills at camp and succeeding at challenging activities helps kids build a sense of independence; campers learn to do things for themselves, and counselors are there to encourage them and help them stand on their own two feet. Learning Social Skills and Building Friendship – Cam p provides a focused opportunity for children to work on social and friendship skill building. 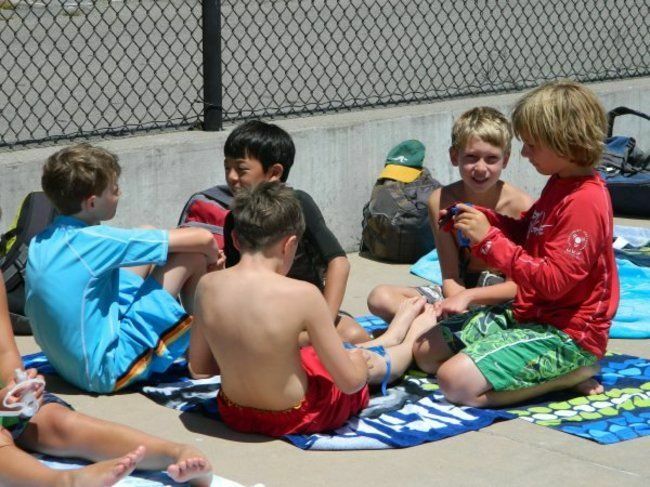 By being placed in camper groups, kids focus on working with their peers as a cohesive unit and are required to be consciously aware of others’ needs as well as their own in order to work well together. 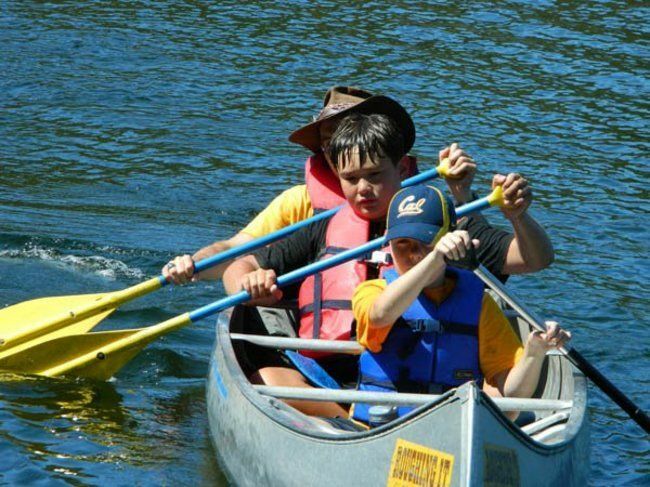 Exciting Outdoor Activities – Camp provides the unique opportunity for children to learn activities such as fishing, swimming, kayaking, canoeing, riding, rowing, geo-caching, and many more activities that are specific to the camp environment. Kids will go home with a wide array of tools under their belt after a summer spent at camp. Leadership Skills -At camp, counselors help campers, shy or outgoing, get the most out of themselves through their participation in a supportive, positive group setting. 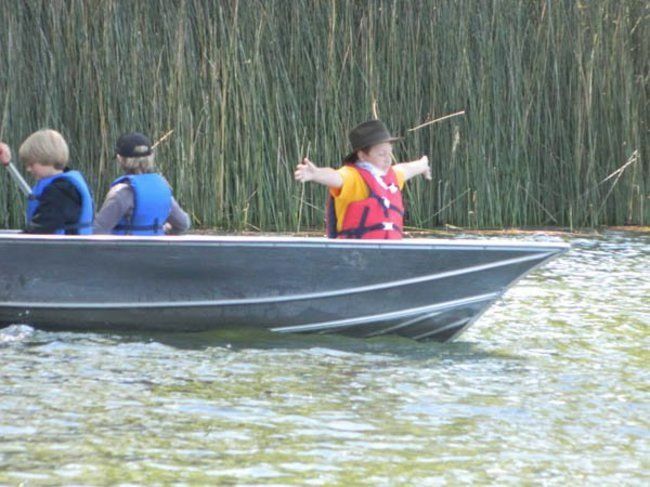 Campers often have a chance to be a group leader in certain activities, whether it be leading their canoe or leading a skit. These opportunities serve to encourage kids to take on leadership roles in other areas of their life and give them the confidence to do so. San Francisco, Noe Valley, Oakland, Berkeley, Piedmont, Alameda, Orinda, Moraga, Lafayette, Concord, Walnut Creek, Pleasant Hill, Martinez, Alamo, Danville, Pleasanton, Blackhawk, Diablo, Dublin, San Ramon, Montclair, Emeryville, Clayton, Kensington, Daly City, El Cerrito, Albany.